The icon box widget need some accessibility love! 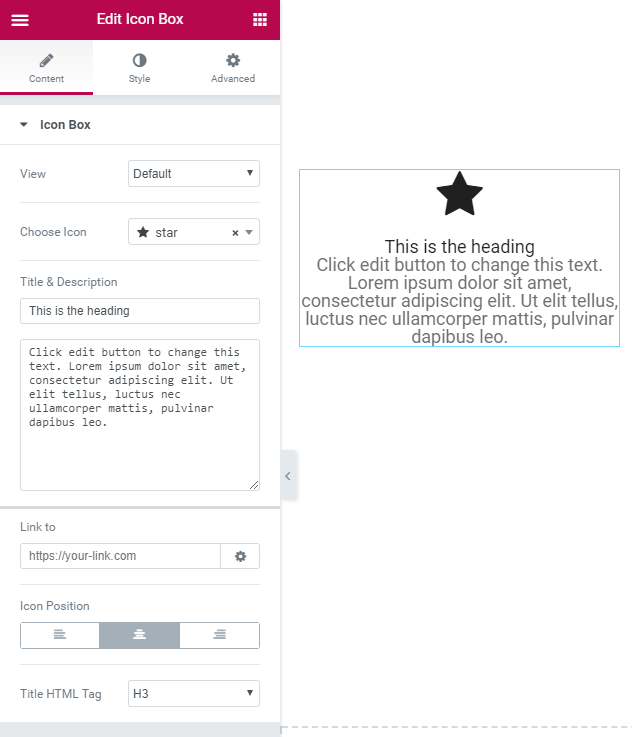 The Icon box has 3 elements: <i> icon, the title with custom HTML tag controlled by the user, and a description paragraph in <p>. The <i> icon is used for pure decoration or visual styling, and it should not be displayed to an assistive technology-using user. We need to add aria-hidden="true" to the markup.